Rates may vary depending on availability, location and extra features. * Holiday weeks are Palm Sunday, Easter, Christmas, and New Year's. Check availability using our Custom Vacation Inquiry or phone: 616 855 4468. We will reply quickly with availability and information on how to finalize your booking. The full payment is required after you receive your confirmation numbers. The balance is due at least 45 days prior to the week rented. 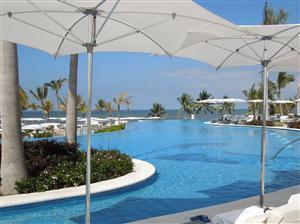 You will receive a confirmation slip from the resort and a guest letter from the owner after making the final payment. Full payments is due after the rental confirmation number is sent to the guest. A guest letter will be sent to the renter after the final payment has been received. The renter is responsible for any damage they do to the rental property. The only additional room charge is a $15 to $80 tax for the entire week. Cancellations for check-in dates between January 1 and November 14: If the cancellation notice is received by us at least 45 days prior to the check-in date, a full refund (less the processing fee -- see below) will be issued. Cancellations for check-in dates between November 15 and December 31: If the cancellation notice is received on or before September 1, a full refund (less the processing fee -- see below) will be issued. All cancellations are subject to a processing fee of $100/unit/week for studios and $200/unit/week for all other units. Cancellations after the applicable deadline date are not refundable.